Rita Dove is Commonwealth Professor of English at the University of Virginia. In 1987 she received the Pulitzer Prize in poetry for Thomas and Beulah, and from 1993 to 1995 she served as U.S. Poet Laureate; her most recent poetry collection, American Smooth, came out in 2004. She has also published short stories, the novel Through the Ivory Gate and the drama The Darker Face of the Earth, and in 1998 the Boston Symphony debuted her song cycle "Seven for Luck", with music by John Williams, under the composer's baton. 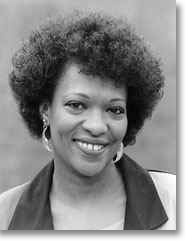 Rita Dove's newest book of poems, Sonata Mulattica, will be published by W.W. Norton in the spring of 2009.